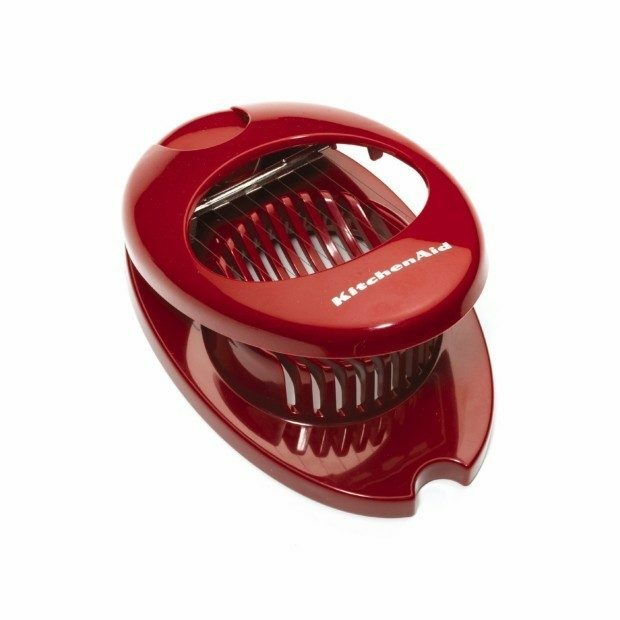 KitchenAid Classic Egg Slicer (Red) Only $3.99 (Reg. $9.69)! You are here: Home / Great Deals / Amazon Deals / KitchenAid Classic Egg Slicer (Red) Only $3.99 (Reg. $9.69)! Do you enjoy eating hard boiled eggs? If so, check out this great deal on Amazon! You can get his handy and highly-rated KitchenAid Classic Egg Slicer (Red) for only $3.99! This slicer is ideal for cutting hard-boiled eggs, mushrooms and soft cheeses. The slicer’s non-skid rubber feet add greater stability and control when in use. The slicer’s cutting wires are constructed from tough, rust-resistant stainless steel. The slicer features a sleek, contemporary look that complements modern kitchens. This product is completely dishwasher safe for fast and easy cleanup. The slicer’s non-skid rubber feet add stability when in use.